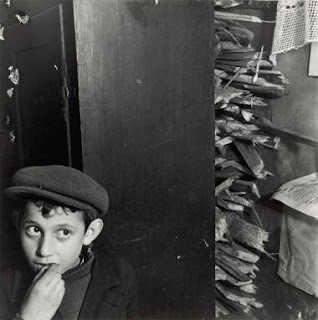 Roman Vishniac Rediscovered at the ICP. ...brings together four decades of work by an extraordinarily versatile and innovative photographer for the first time. Vishniac (1897–1990) created the most widely recognized and reproduced photographic record of Jewish life in Eastern Europe between the two World Wars. These celebrated photographs were taken on assignment for the American Jewish Joint Distribution Committee, the world's largest Jewish relief organization, from 1935–38, yet this exhibition follows the photographer's long and accomplished career from the early 1920s through the 1950s.This exhibition introduces recently discovered and radically diverse new bodies of work by Vishniac, and repositions his iconic photographs of Eastern Europe within the broader tradition of 1930s commissioned social documentary photography." Flavor Of Nature: Takuro Kuwata at Salon 94 in New York, NY. "...Japanese ceramic techniques and aesthetic principles, both traditional and experimental, form the foundation for Takuro Kuwata’s otherworldly objects & vessels. His creations push the ancient medium to a riotous extreme, dancing between pop and Kogei (traditional craft). Kuwata presents contemporary textures and colors, inspired by the world around him." Light and Shadow - Y. Ernest Satow at Gallery 916 in Tokyo. "...Looking back at his career, one even senses his adoption of photography came out of the blue. In 1956 he took a job at the New York branch of the Mitsubishi Bank, but once he had saved enough money to buy a set of Leica cameras and lenses he set off for Mexico on a photography trip. Upon his return to the U.S. he immersed himself in darkroom work before commencing activities as a photographer in 1957. In other words, when it came to photography, one could say that Satow was completely self-taught." Salvador Dalí - Arena (1986) at UbuWeb Film & Video. "...This documentary chronicles the life of Salvador Dali, and is probably the most informative and comprehensive film on the subject. It contains rare footage of Dali, as well as interviews with him, which creates an in-depth journey through the various episodes of his career. All in all, a very personal portrait of the artist is rendered in this film." Works by Kenneth Josephson at Gitterman Gallery. 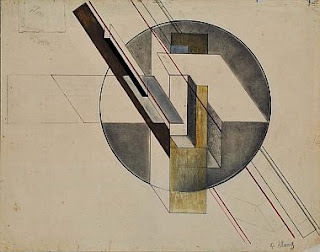 "...Though much of his work deals with conceptual ideas, formal concerns are integral to his vision. His early images of the patterns of light from the elevated tracks in Chicago have a syncopated rhythm of light which is echoed in much of his work from the 1960s. It is in his exploration of the abstraction of light in nature that this rhythm is most meditative, as if nature itself is drawing with light. In his later work nature’s palette becomes more subtle and seemingly infinite." 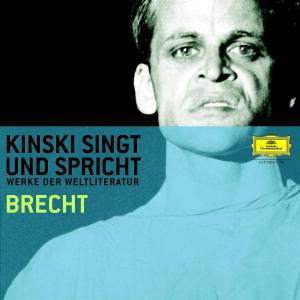 Klaus Kinski... Kinski Singt Und Spricht Brecht at UbuWeb Sound. Recorded 1957-1962. Works by Sissi Farassat at Edwynn Houk Gallery. "...Encountering Farassat’s works, one quickly sees that hundreds of hours have been spent changing by hand each photograph into a unique object. Farassat drastically alters the most inherent properties of the photographic medium: the instantaneousness of the camera and the possibility of creating multiple photographic prints. Instead, she takes needle and thread to each print, and hand-stitches thousands of crystals, beads, and sequins, transforming the photograph into a type of tapestry." Big Star: Nothing Can Hurt Me. "...a feature-length documentary about legendary Memphis band Big Star. While mainstream success eluded them, Big Star’s three albums have become critically lauded touchstones of the rock music canon. A seminal band in the history of alternative music, Big Star has been cited as an influence by artists including REM, The Replacements, Belle & Sebastian, Elliot Smith and Flaming Lips, to name just a few. With never-before-seen footage and photos of the band, in-depth interviews and a rousing musical tribute by the bands they inspired, Big Star: Nothing Can Hurt Me is a story of artistic and musical salvation." Director's Cut - Celebrating Kraige Block’s Fifteenth Anniversary as Director at Throckmorton Fine Art in New York, NY. "...Kraige Block’s contributions are many, ranging from selecting which artists to showcase, reviewing portfolios, designing exhibits, assisting with acquisitions, and creating collections for private and public institutions. His work has been instrumental in helping cement Throckmorton Fine Art’s reputation as a premier dealer specializing in Latin American fine art photography, with an ever increasing international focus."